Over 50% of U. S. pets are overweight. This can lead to a shorter lifespan, health problems as they age and difficulty walking with extra weight bearing down on their joints. Here are some simple ways to keep your pet’s weight in check or help them to lose weight. Measure your pet’s food at every meal. Look at the feeding guidelines of your pet’s food. They usually go by age and weight. This is a starting point only. Depending on how much daily activity your pet gets you may need to add a little or subtract a little. Feeding Routines are important! Most cats and dogs will benefit by a twice a day feeding routine. Even cats can learn to eat when the food goes down. Leave the food down for 15 minutes only. If you pet is not actively eating after 15 minutes take the food up and don’t put it down till the next meal time. At each meal you feed them ½ of their daily requirement. If they don’t eat it all just add to it at the next feeding time to make a serving. Do not be alarmed if your pet skips a few meals to start. When they get hungry enough they will eat. During the initial transition it is best to stay away from treats in between as these just add empty calories to your pet’s diet and keep them from being hungry enough to eat the food which carries important nutrients. Add activities to your pet’s daily routine. A nice daily walk around the block with your dog or a 15 minute play session with your cat chasing a teaser will burn calories that will add up over a years time. 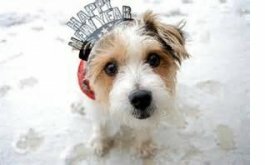 Make this new year the healthiest yet for you and your pet and you’ll enjoy many happy years together. We now offer Gift Certificates! We can help bring peace to your home. At Good Dog! 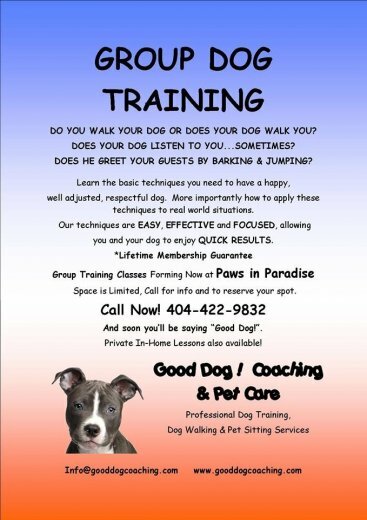 Coaching , we coach you on how to communicate with and train your dog. APDT – Association of Pet Dog Trainers. 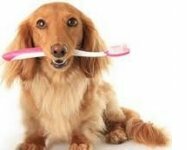 Is it really that important to brush your dog’s or cat’s teeth as well as have them cleaned? YES! Dogs/cats like humans can get gingivitis or cavities. Additionally if they chip or break teeth from chewing on hard bones/toys it can cause bacteria to get up inside and lead to an abscess. If your pet’s breath is worse than usual it can mean they are suffering from periodontal disease. If left untreated, this can lead to a bacterial infection which can enter the bloodstream and spread to your pet’s kidney, liver, heart and even his brain. Plaque build up can cause pain and inflammation making it difficult for your pet to eat as well. Thankfully there is a simple prevention, brushing their teeth! Even just twice a week can make a dramatic difference in their oral health. Smaller dogs or brachycephalic breeds may need more frequent brushing as their teeth are crowded together which allows more plaque to accumulate. There are tooth pastes and brushes made just for pets and you can find them at your local pet store like the Pet Super Store in Loganville just off Hwy 78. They have everything needed to do the job right. Your pet may not like it at first but if done with enough regularity they will get used to it. If you brush them on a daily basis you may be able to limit your professional cleanings to every few years as opposed to yearly as recommended by most veterinarians. Our dog is 5 years old and hasn’t needed her teeth cleaned by our vet yet! Think of the money you will save! Plus anytime you can keep your pet from being anesthetized is a good thing. Do continue your yearly check-ups with your vet as they can tell by looking in your pet’s mouth if professional cleaning is needed or not. Awarded Best of Gwinnett 2013! It's Official! Good Dog! Coaching & Pet Care is Best of Gwinnett for 2013!!! Thank you to all of you who voted for us. We couldn't have done it without you! Look for us in Gwinnett Magazine. Preheat oven to 350. In large bowl, whisk together eggs and pumpkin to smooth. Stir in dry milk and, sea salt. Add brown rice flour gradually, combining with spatula or hands to form a stiff, dry dough. Turn out onto lightly floured surface (can use the brown rice flour) and if dough is still rough, briefly knead and press to combine. 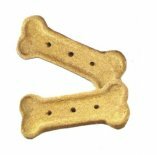 Roll dough between 1/4 – 1/2″ – depending on your dog’s chew preferences. Use biscuit or other shape cutter to punch shapes, gathering and re-rolling scraps as you go. Place shapes on cookie sheet, no greasing or paper necessary. If desired, press fork pattern on biscuits before baking, a quick up-and-down movement with fork, lightly pressing down halfway through dough. Bake 20 minutes .Remove from oven and carefully turn biscuits over, then bake additional 20 minutes. Allow to cool completely. Puppies have their behavior problems, and older dogs have theirs. For older dogs, in many cases it is not that they do not understand the 'rules,' but that they may, for many reasons, be unable to follow them. Read here about the various changes and what you can do to help your pet in their senior years. The Georgia Society for the Prevention of Cruelty to Animals is a non-profit pet rescue organization located in Suwanee, Georgia. We place abandoned, unwanted and abused cats and dogs into loving homes. We'd Like It A Lot! Max is a 1 1/2 year old Greater Swiss Mountain Dog. He is a big boy but loves running around the doggie park and going for long walks. He is very good at his basic commands. Max loves belly rubs and being in the presence of his human friends! We are proud to announce that Good Dog! Coaching and Pet Care has been awarded "Best of Lilburn"
This time of year brings out the jackets and mittens. The chill in the air is downright frigid sometimes. And for many of us, we notice aches and pains a lot more than we did in the relative comfort of the summer and fall. The same thing can hold true for our pets. Winter may be the first time we notice Buster is getting a little slower. Arthritis pain is just as real for our pets as it is for us. Slowing down is often not just a “side effect” of getting older, but can be an indication of the pain of osteoarthritis. And even though this cannot be cured, this painful condition can be managed. But you need to know how to recognize it first! 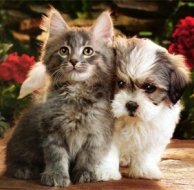 The signs we look for vary some between our cats and dogs, as each tends to display pain differently. For our cats, we may notice decreased jumping or climbing, difficulty reaching the higher levels of the kitty condo or scratching post, poor grooming, decreased play, or decrease in eating or drinking. For dogs, we often see limping or slowing down, less interest in play, decreased eating or drinking, or even aggressive or snappy behavior. Additionally, pain may result in more antisocial behavior. Cats may hide more than usual. Dogs may avoid family members and activities. We cannot rely on vocalizing or whining to tell us when our pets are in pain, as this is usually reserved for the most severe, and often sudden pain. The chronic pain associated with osteoarthritis is often suffered in silence. But take heart! There are things we can do to help our fur babies cope with this condition. Simple changes in lifestyle can make things more pleasant for them. Provide softer bedding in an easy to reach location. Ramps or steps on to beds or furniture eliminate the need to jump to be with you, and can ease their pain, while still maintaining the closeness to you they desire so much. Reducing physical activity to a tolerable level is important, as well as picking lower impact activities. For example, if a pet likes to swim, this can provide a less painful physical outlet. It is best to avoid walking along a concrete or asphalt path, instead choosing grassy areas for less impact on their joints. Weight management (staying trim) is also very important for their comfort, as it decreases the stress on all of their joints. For some pets, lifestyle changes alone are not adequate to provide a satisfactory quality of life. Fortunately, there are numerous medical options available for consideration. Pain and inflammation control have progressed significantly in recent years. Discussing this with a veterinarian is a vital part of managing your pet’s well being. But please resist the temptation to give your pets any form of human medication! There are much more effective options available, and more importantly, human medications including aspirin, ibuprofen and especially Tylenol (acetaminophen) can carry huge- potentially fatal- risks for pets. If your pet is showing signs of arthritis pain, the time to schedule an exam and consultation is now. 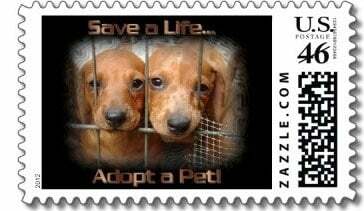 It is possible to greatly improve their quality of life, and to reduce the suffering they are quietly enduring! House call appointments are available! 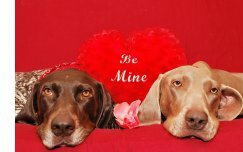 'We just returned home and are thrilled with the level of service offered through Good Dog! Coaching and Pet Care. I am so glad to have been referred. From the detailed notes provided for each visit today, it is clear that Gwynne interacted extensively with both Pepper & Max. This was evidenced by her report and description of their activities and behavior.